Note: this article was updated on Wednesday, October 24. A number of SA defence companies are set to celebrate the forging of new partnerships with international companies to collaborate on major shipbuilding projects at Euronaval 2018. Four recent agreements between SA defence businesses and European companies to work together on upcoming naval shipbuilding projects will be officially recognised on the Defence SA stand, under the Team Defence Australia umbrella, during the event. First, SA advanced manufacturing company Redarc Electronics and local manufacturer Rowlands Metalworks will celebrate a Memorandum of Understanding (MoU) that was previously signed with German naval C2 and navigation system integrator Raytheon Anschütz to partner for future Australian naval projects, including the Hunter class Future Frigates. Second, ASC signed a collaboration agreement with French company Endel Engie – a long-term partner of Naval Group France – to create joint business opportunities on the Future Submarine program. ASC also signed a collaboration agreement with France’s Groupe FIVA – a global engineering consultancy which has established a presence in SA – to facilitate delivery and support to current and future naval programs in both Australia and France. “We applaud this alliance, which opens up new perspectives for collaboration with ASC," Emeric Burin des Roziers, CEO of Endel Engie, said. “We are proud to partner with ASC, who constructed and now maintains the Australian Collins submarine fleet,” Yannick Vergez, CEO of Groupe FIVA, said. ”The 30 years of experience and the current capability of ASC make it a natural ally of FIVA and the services we provide to Naval Group. This agreement will lay the foundations for FIVA and ASC to add value to our clients, especially Naval Group." 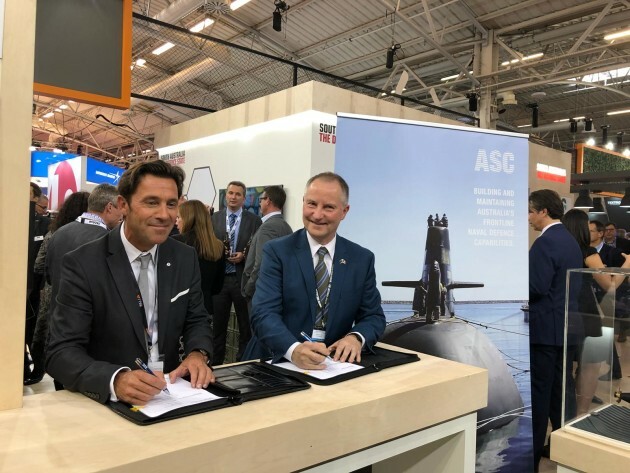 “This collaboration between ASC and FIVA creates mutual benefits, with FIVA’s experience providing submarine design services to Naval Group in France and ASC’s experience in submarine platforms in Australia," ASC CEO Stuart Whiley said. Third, SA-based company SAGE Automation and Spanish company Detegasa will mark a major commercial and industrial partnership agreement. The contract – signed just weeks ago – will see SAGE expand its through-life-support capabilities for the RAN surface ship by providing in-country support for Detegasa equipment on-board LHD, DDG and future AOR vessels. The agreement also opens opportunities to manufacture equipment in Australia for future programs, including the Hunter class frigates. “We see this agreement and partnership with Detegasa as a game changer for our TLS delivery. 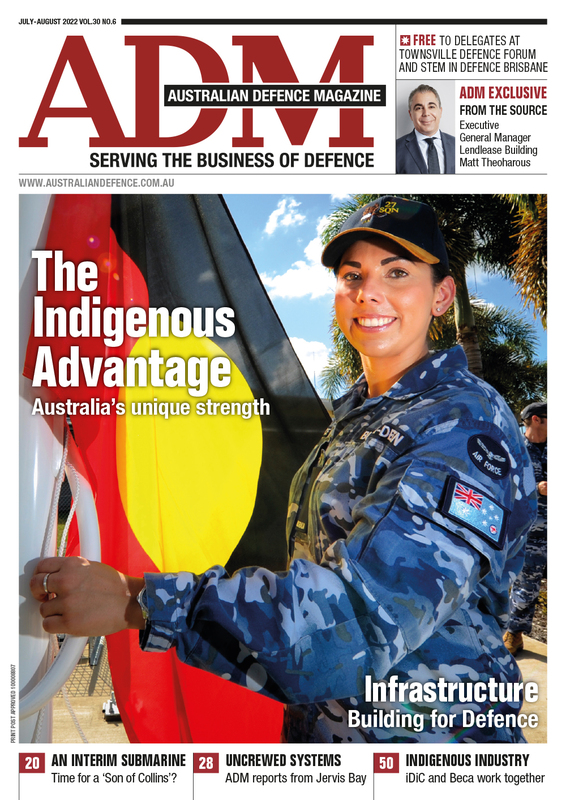 We very much look forward to working with Detegasa to bring value to the Defence support managing contractors and Navy assets,” SAGE general manager for Defence Paul Johnson said. Lastly, Groupe FIVA will formally announce its acquisition of Cadgile, the largest independent CAD drafting specialist in SA. Together FIVA and Cadgile will develop engineering services for the defence, energy and environment sectors in Australia. Defence SA chief executive Richard Price said it was encouraging to see SA businesses collaborating with international companies, which will ensure local companies benefit from major shipbuilding projects. “Congratulations to all the SA companies that have recently entered into collaboration agreements with international defence partners to work together on major defence and naval shipbuilding projects,” Price said. 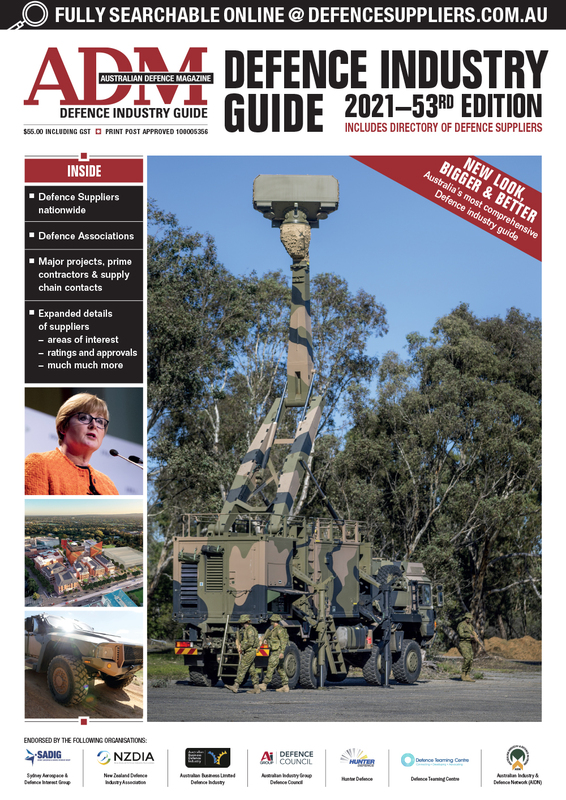 “It’s great to see SA defence companies taking a proactive approach to forming strategic partnerships with international defence companies.